Olivia said she likes to read the comments to articles published on the Breitbart News and Drudge Report websites. 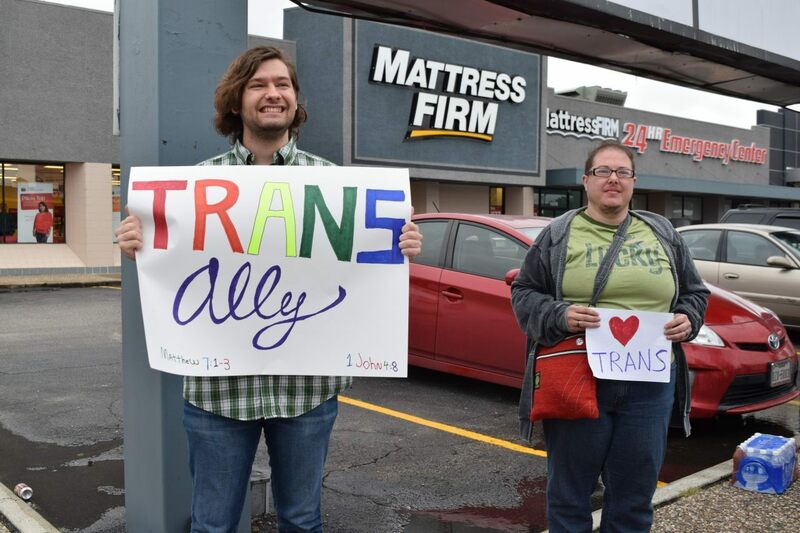 Trans supporters say it is transgenders that are most likely to be the victims of violence in a restroom. 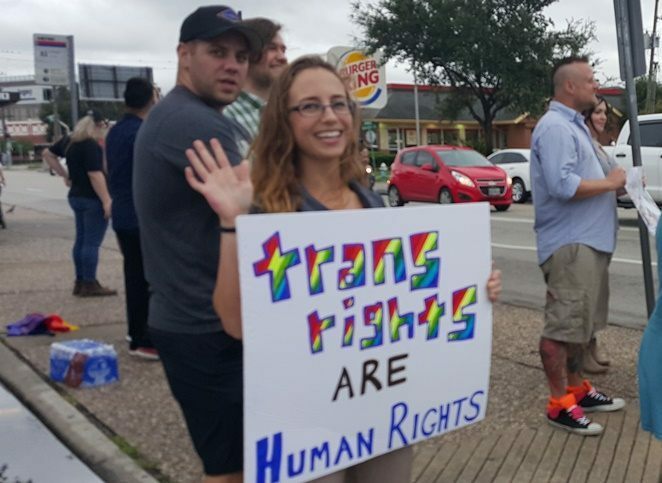 The transgender woman was referring to the recent Houston ballot issue. Opponents to the proposed city ordinance said it would allow men dressed as women in women’s restrooms. As reported by Breitbart Texas, opponents defeated the “bathroom ordinance” by a margin of 61-39 percent. The city’s openly gay mayor, Annise Parker, said passing the Houston Equal Rights Ordinance (HERO) was very “personal” for her. The City of Houston and opponents have been sparring in and out of court over the ordinance for 18 months. Nikki said the transgender are “your lawyer, your neighbor, and your coffee shop worker.” She said gender identity and sexual orientation are not the same thing. She told Breitbart Texas, “Gender identity is who you go to bed as. 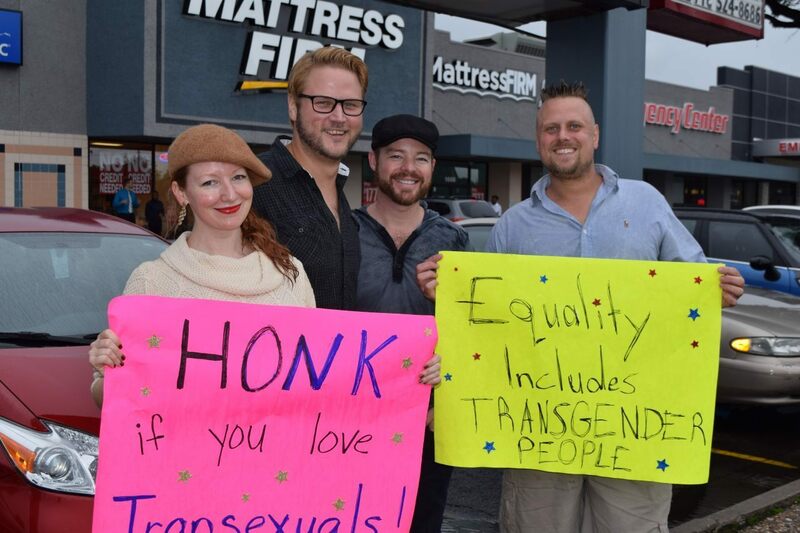 Sexual identity is who you go to bed with.” Nikki is a board member of the Transgender National Alliance. Breitbart Texas asked her about GOP presidential candidate Ben Carson’s solution to have a different bathroom for transgender individuals. 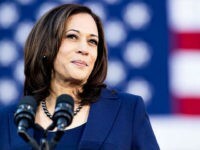 Nikki replied – “How did segregated bathrooms work out in the 1960’s?” She and other supporters of transgender individuals said they find it astonishing that a black American would make such a suggestion. Veronika Simms described herself as a Republican, Christian, transgender woman. She said the City of Houston made a strategic mistake during the HERO litigation when they subpoenaed Houston area pastors. As reported by Breitbart Texas, the action was taken by the city during the litigation over the ballot referendum. 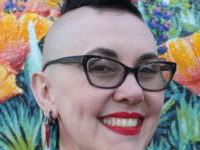 Heather Ringo said, “As a Christian I believe in emulating Jesus Christ and I feel that some individuals use Christianity to hurt transgenders.” She said, “I do not believe Christ would approve of their abusive language and behavior.” Heather and her husband are both heterosexual. She said she was there to support the transgender rally and “show them I see them as human beings.” Her husband, a former Army Ranger, was at her side. 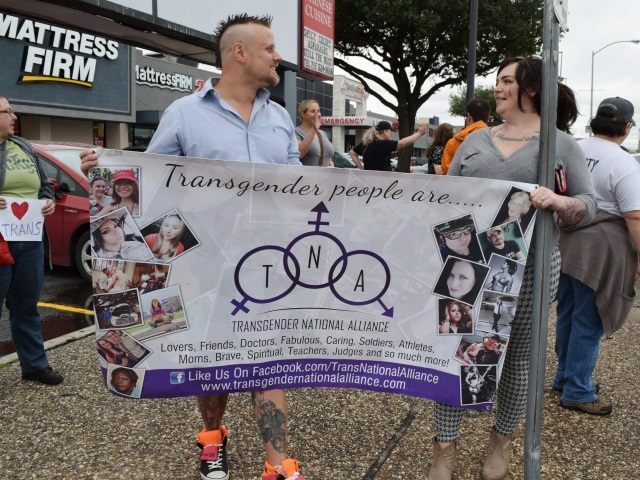 The supporters of the transgender and LGBT community at the rally told Breitbart Texas that the proposed ordinance was more about protection from discrimination, and protecting them from violence. 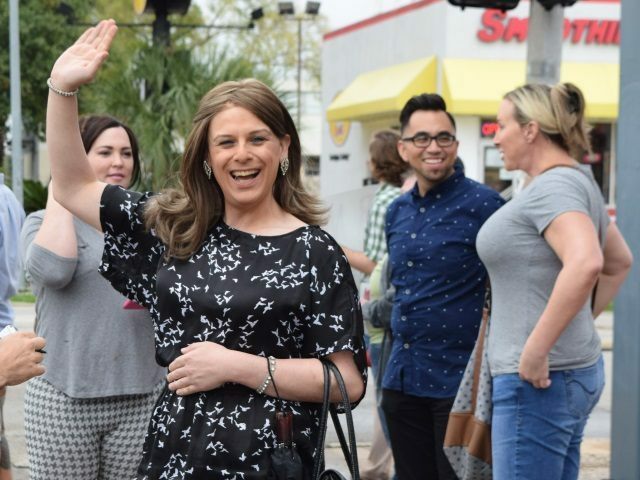 Joseph Machado, a general manager in the oil and gas industry in Houston said, “My demographic are your readers.” The 52-year-old white male was there to lend support to the trans community. Rev. Dave Welch of the US Pastor’s Council told Breitbart Texas after the election that the proposed ordinance was the local defeat of a national leftist LGBT agenda. 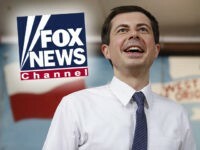 Photos by Bob Price, Breitbart Texas Associate Editor. Follow him on Twitter @BobPriceBBTX.